Say 'Dark Siiiiiide'! 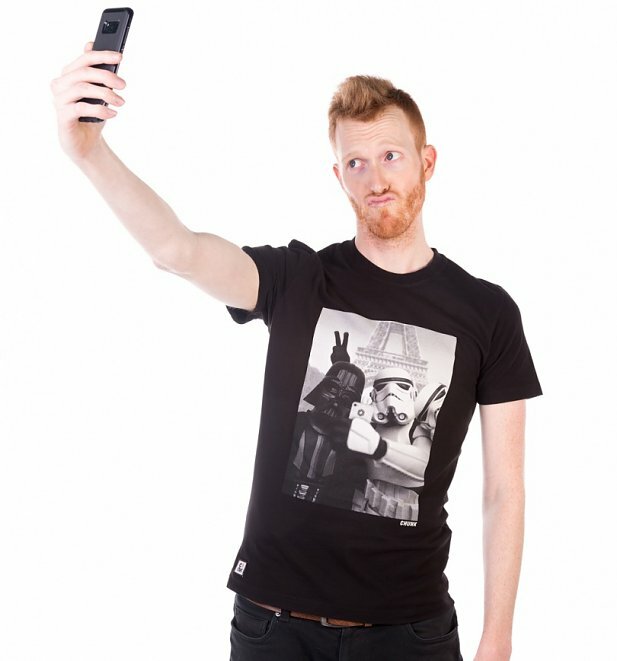 This funny t-shirt comes jam packed full of vanity and hash tags! 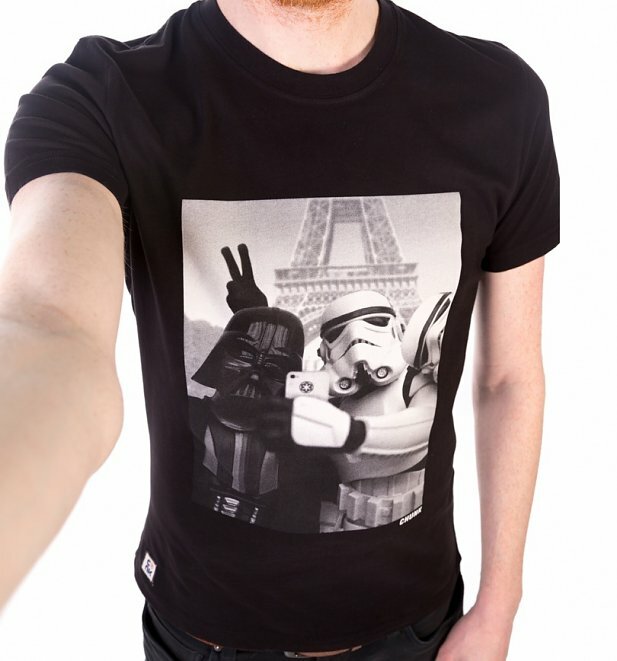 Even the most important figures of our time are rocking the selfie. 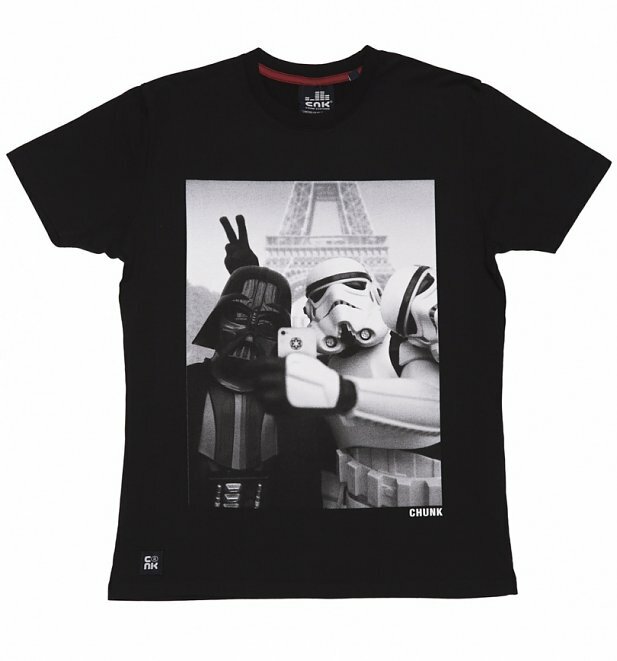 It has indeed taken the galaxy by storm - Darth and the Troopers have joined in on the craze as you can see on this fab design from Chunk Clothing! 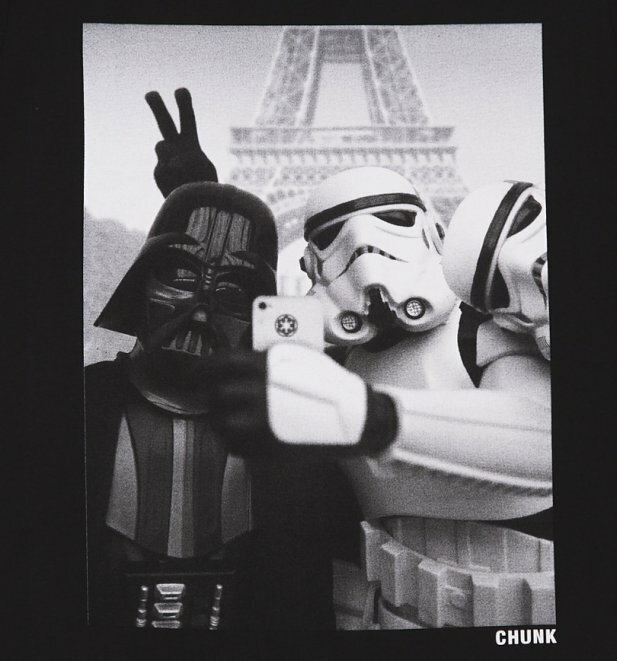 - Famed for their original designs with a unique street wear flair, Chunk is THE quintessential urban-Brit label with an international reputation based on originality and quality. 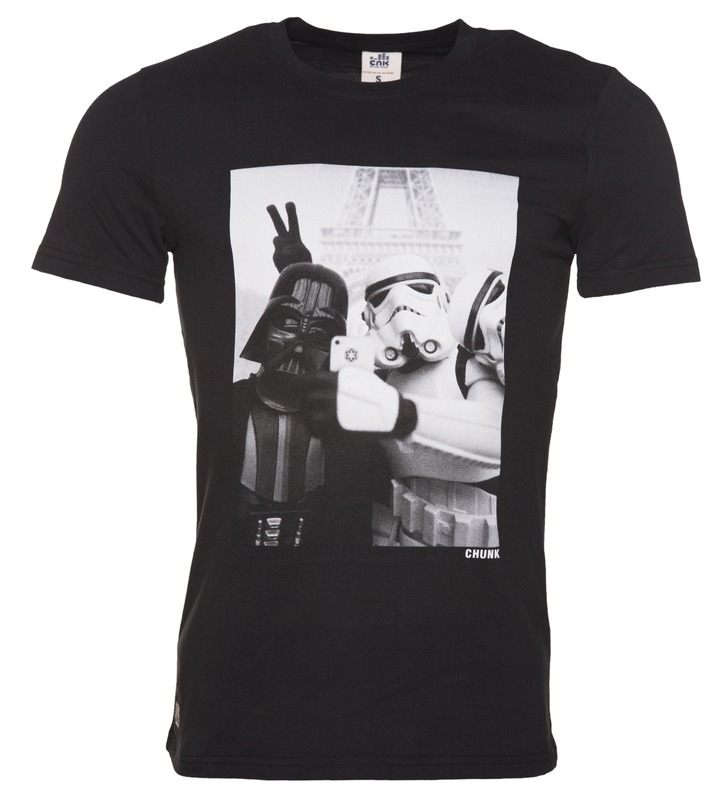 Review: Fantastic t-shirt and excellent delivery time. Great no hassle purchase!